To say that this inconvenient news is under-reported would be an unerstatement. 12 hours after this came out I have to go searching for it. The leaders of two anti-establishment parties have each claimed they have the right to govern Italy, after voters in Europe's fourth-largest economy did not return a majority to any single party. The Eurosceptic, populist Five Star Movement was the biggest single party with a third of the vote. But the anti-immigrant League also said it had been endorsed to run the country as part of a centre-right alliance. Forming a government could take weeks of negotiation and coalition-building. An alliance between the far-right League and ex-Prime Minister Silvio Berlusconi's Forza Italia party is set to win the most seats in the lower house of parliament. 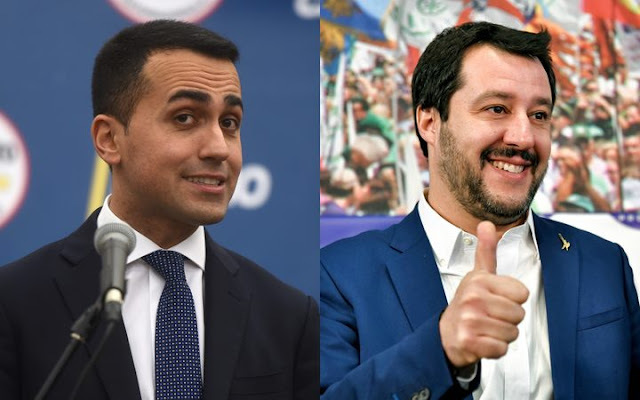 Both League leader Matteo Salvini, 44, and Five Star leader Luigi Di Maio, 31, on Monday spoke of their right to govern the country. Despite stating the contrary during the run up to the vote, Five Star has now announced it is open for coalition talks with other parties. Mr Salvini also said at a press conference that he intended to speak to other parties to gain a parliamentary majority. BBC Europe editor Katya Adler tweeted that it was "theoretically possible for the EU's nightmare result to come true: a coalition between the 'populist Eurosceptics': Five Star and Lega [the League party]". Voter turnout was estimated at 73 percent on Monday morning, according to interior ministry figures. Though no party will be able to rule alone based on latest results, the surge of support for populist parties has been compared with Brexit and the election of Donald Trump in the US. The right-wing coalition, which includes the League, Mr Berlusconi's Forza Italia (Go Italy!) party and the far-right Brothers of Italy, is tipped to get 248-268 seats - below the 316 needed for a majority. But Five Star, which before Monday insisted on going it alone without forming a coalition, is expected to emerge as the largest single party in Italy's lower house, with 216-236 seats. Founded in 2009 by comedian Beppe Grillo, who denounced cronyism in Italian politics, Five Star is now led by Luigi Di Maio, 31. It has captured new voters in the poorer regions of southern Italy, feeding off anger over institutional corruption, economic hardship and immigration. Italian voters appear to have abandoned Mr Renzi's PD because of dissatisfaction over these issues, and its centre-left coalition is projected to come a distant third, with an estimated 107-127 seats. Immigration and the economy have been two of the key issues for voters during the election. More than 600,000 migrants have travelled from Libya to reach Italy since 2013, which has upset many Italians. The state of the economy was also at the centre of the debates. In 2016, some 18 million people were at risk of poverty, and unemployment is currently at 11 percent. Results from the vote for Italy's Senate, the upper house of parliament, also favoured populists and parties of the right. Five Star performed better than anticipated and was forecast to take the most seats - around 102-122 - but miss out on a majority. The right-wing coalition is predicted to get 118-150 seats in the upper house, and the Democratic Party 42-54. The vote comes as a blow to Silvio Berlusconi, 81, whose party led the right-wing coalition. But now Matteo Salvini has laid claim to that role. He has promised to deport hundreds of thousands of migrants and spoken of the "danger" of Islam. "My first words: THANK YOU," tweeted League leader Matteo Salvini as projections rolled in. 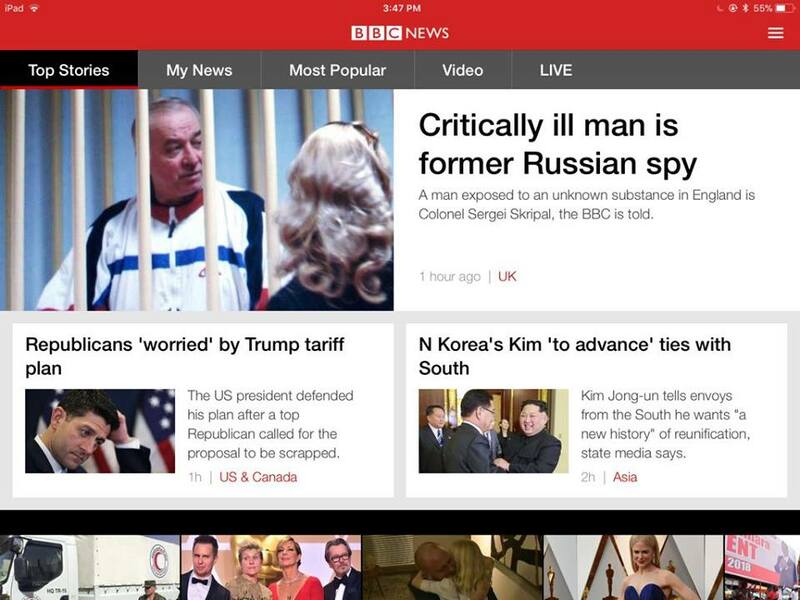 In any case Mr Berlusconi, 81, cannot hold public office himself until next year because of a tax fraud conviction. The four-time prime minister had backed European Parliament President Antonio Tajani as his choice to lead the country.